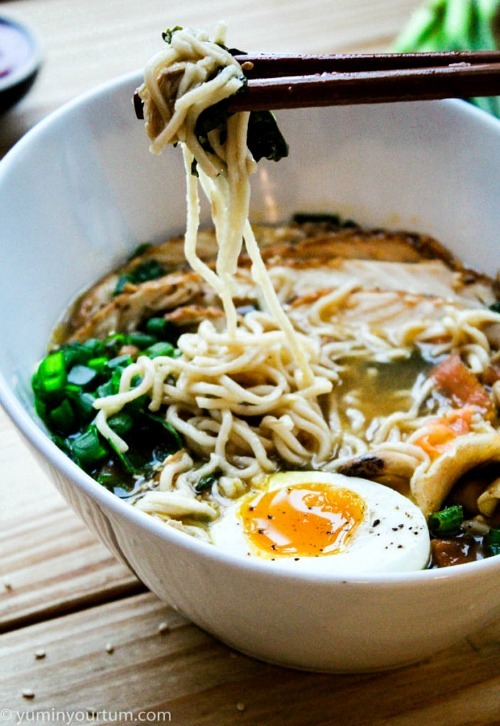 People used to think that ramen was just for college students. It was labeled “cheap” and “unhealthy,” so home chefs ignored it, thinking it couldn’t be used to make a truly nutritious meal. Well, ramen is still one of the most inexpensive noodles out there, but it doesn’t have to be unhealthy, and it can be plenty filling! All you have to do is ditch the seasoning packet, add some mix-ins and a good sauce, and you have a delicious ramen dinner ready to go! 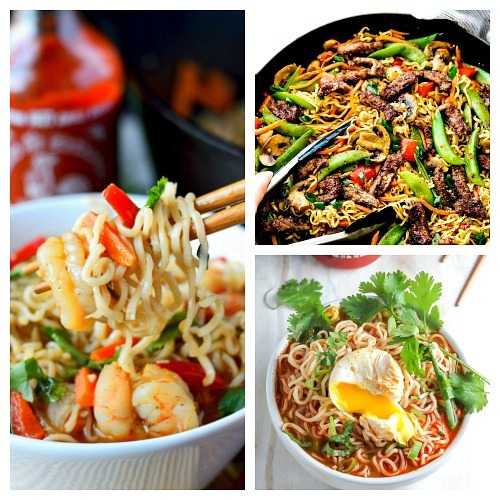 Check out these 8 Ridiculously Delicious Ramen Recipes! What I really love most about ramen is how quick it is! 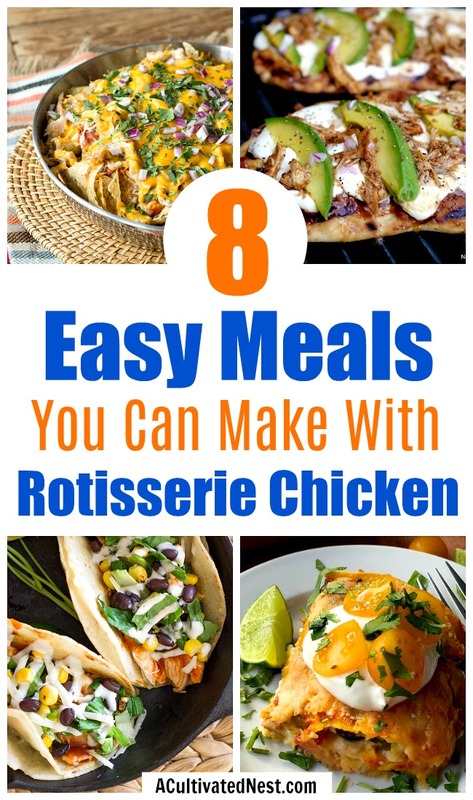 Of course, some of the following recipes will only be super quick if you have some already cooked chicken or beef on hand. I like to cook extra proteins when I have extra time, and I also freeze leftover meat. That way I always have some chicken and beef ready to throw into a recipe on a busy day. 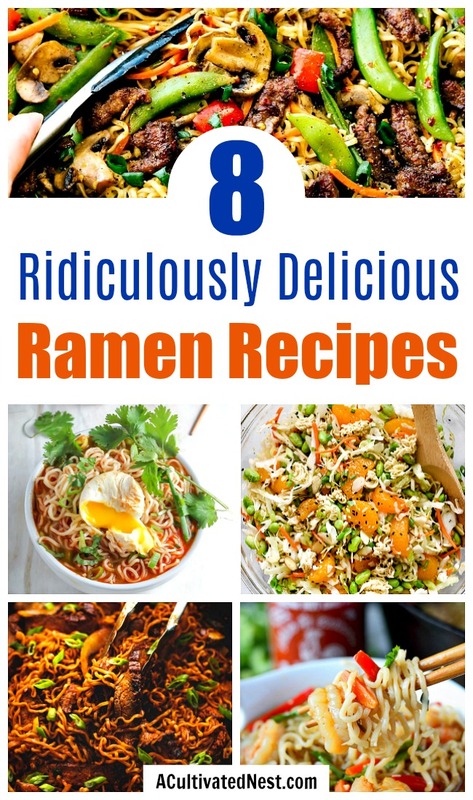 I have a big bag of gluten free, organic ramen that I keep for busy nights when I want to make one of these quick ramen recipes. You could also stock up on the individual ramen packets when you catch them on sale! 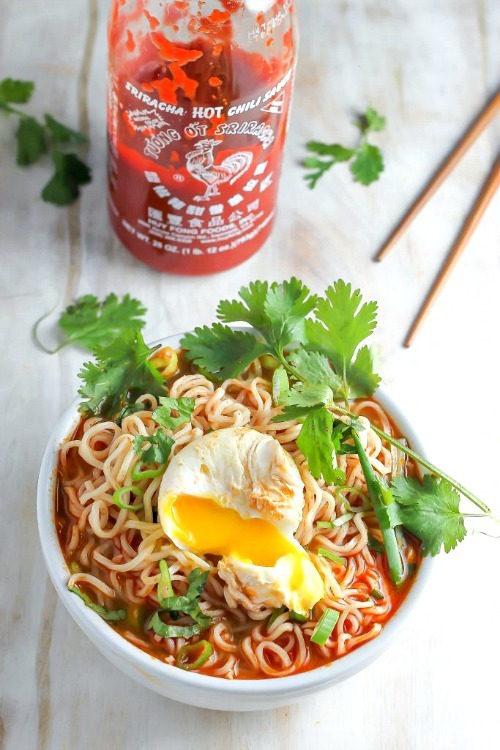 This sriracha ramen soup from Baker by Nature is a quick and tasty ramen dish! Caribbean Scent’s chicken ramen soup is like chicken noodle soup, but so much heartier! Are you a fan of spicy food? You have to try Creme de La Cumb’s spicy Korean beef ramen recipe! 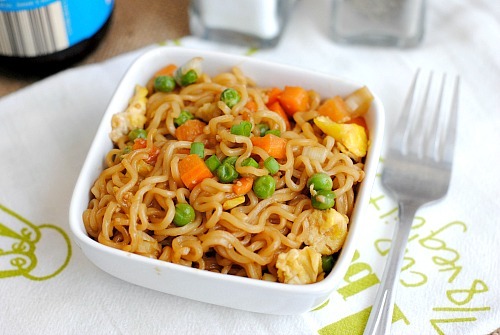 My vegetable ramen stir fry is an easy vegetarian lunch or dinner! This one is sure to be loved by the kids (or by anyone who loves mac and cheese)! Check out how Chocolate Covered Katie makes this delicious cheesy ramen noodle bowl! 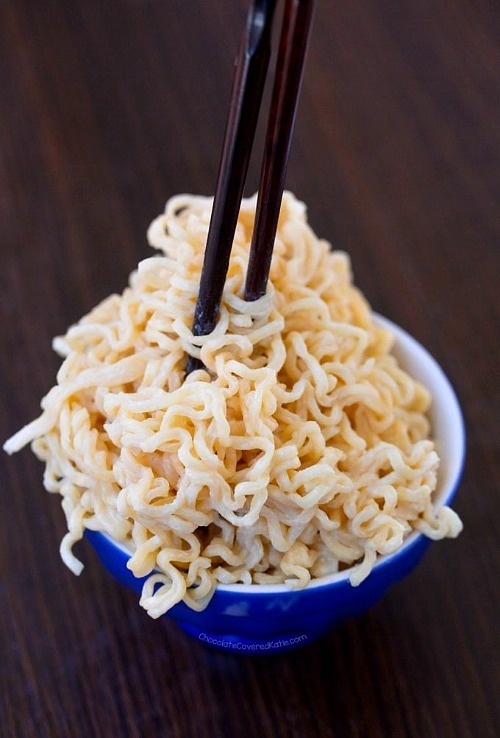 Fun fact: you don’t have to boil your ramen noodles before you eat them. Ramen can also be used uncooked and crunchy! 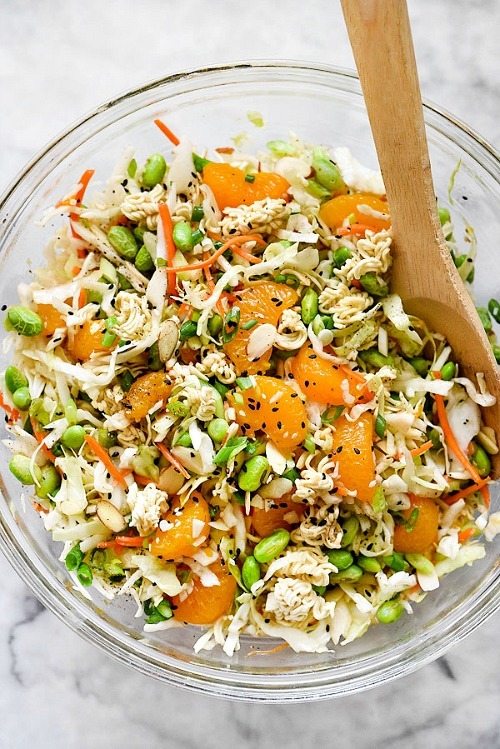 For a great cruchy ramen recipe, try Foodie Crush’s Asian ramen noodle salad! This recipe combines two of my favorite quick ingredients- shrimp and ramen! Take a look at how Butter Your Biscuit makes these yummy (and spicy!) 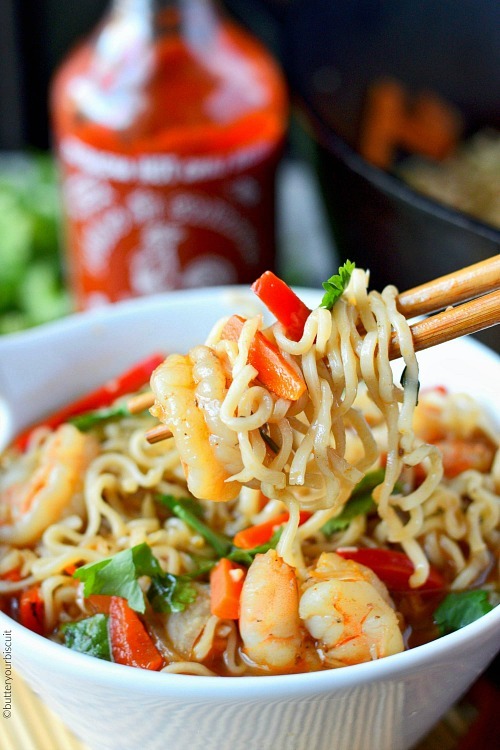 shrimp ramen bowls! 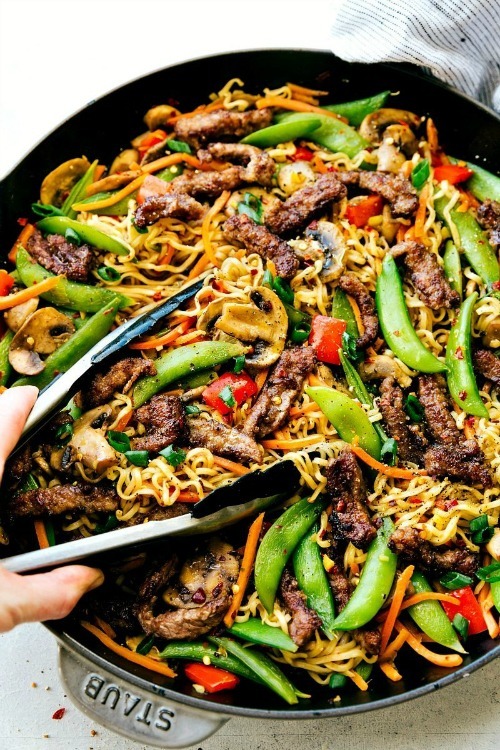 Who needs takeout when you have this garlic beef and veggie ramen recipe from Chelsea’s Messy Apron! As you can see, you can do a lot with a few packages of ramen noodles. And none of these recipes are “bare bones” or excessively unhealthy. They’re actually quite filling, and some look very nutritious! 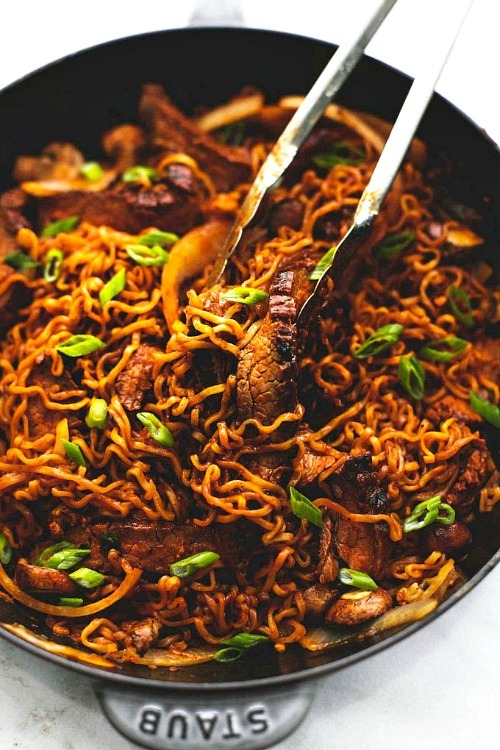 So if you haven’t had ramen since college, now’s the time to change your feelings about ramen and give these delicious ramen recipes a try! How often do you cook with ramen?